The College Family Care Center, available exclusively through Collegian Group - in collaboration with Collegiate Funding Solutions - offers a premier college admissions service called Your College List and financial aid service called FAFSAssist. These services are crucial to the overall college-planning process and combined with our college-planning service will help ensure your child goes to the RIGHT college, for the RIGHT reasons and at the RIGHT price for your finances!. CONTACT Peter S Herman CCFS at Collegian Group to get started! The college list is the single most important factor in paying the least amount of money possible and still getting a great education for your child. Building the right list of candidate schools is the essential first step for families that are in this stage of the timeline (junior and early senior year of high school). Your College List will yield the right list of candidate schools for your child. Your College List is the ideal launching pad to your custom plan that we'll formulate for you based on Your College List. The final step in the college-planning process is the completion of the requisite financial aid forms. All parents - irrespective of their financial situation and ability to pay for college - should completete the financial aid forms. This video explains the little-known reasons why and how FAFSAssist can ensure that this vitally important piece of the college-planning puzzle is successfully completed. Short of buying a home, the investment many parents make towards their children's college educations will be the largest they make in their lives. As long as you have a strategy to pay for college and control what you can control, you have a high probability of success. If the guidance counselor does all that, then no, you don't need the services of the Client Care Center. Let’s start with the core issue: Guidance counselors are completely overloaded. And all schools have guidance counselors but they can't do the same things as a private counselor. During the academic year, guidance counselors spend, on average only 35 minutes with a college bound student. The recommended ratio is 250 to 1, but only four states (Louisiana, New Hampshire, Vermont and Wyoming) actually meet this guideline. It is unethical to promote these kinds of guarantees, as it is impossible to know what a college will offer a student. The best we can offer is to use our many years of experience and expertise to ensure that the financial aid process is accurately and timely completed in order to maximize the student's aid eligibility. Absolutely. Just so long as you're willing to become an expert on the admissions process and it's impact on financial aid, as well as the thousands of pages of rules and regulations required to take full advantage of the process. Each family is unique and it takes an experienced financial aid specialist to know how to advise the family. There are several reasons. First, there is no charge for completing the FAFSA. The idea that you shouldn't pay someone to complete the FAFSA for you came from companies that preyed on unsuspecting parents with guarantees of free money. These are the 'scholarship scams' that you've been warned about. No one can promise you that your client's student will be guaranteed of anything. We agree that these scholarship scams and companies that offer free money for a fee is a complete waste of money and a rip-off. Something that isn't addressed by guidance counselors and financial aid directors is that there is no charge to file your own taxes. You can fill out the 1040 for free. However, many taxpayers choose to purchase tax return software, hire a tax service or accountant/CPA. Why is that? Because the tax laws are confusing and it's to your benefit to get professional help so you don't pay a penny more in taxes than you have to. Same idea with admissions and financial aid. Look at it from this perspective: colleges can't serve two masters. They're looking to protect their interests first and foremost and help your family second. To maximize the financial aid potential at any college, you need to know what they know while telling them as little as possible. Parents today are really busy. We act as their personal admissions counselor and financial aid advocate, as well as administrator of all of the paperwork involved. The current FAFSA has 202 entries, while the federal 1040 has a mere 76 by comparison. However, the CFS Client Care Center is not about filling in forms. 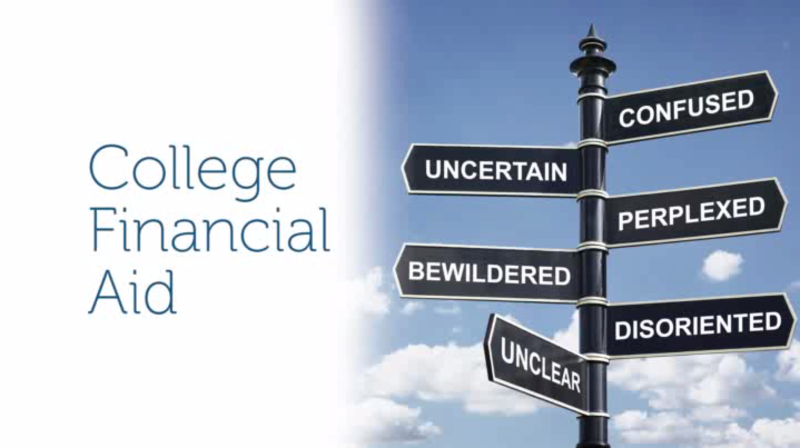 It's about the entire financial aid process which includes some key elements: making sure the family’s financial data is presented in the best possible light, that all of their information is consistent so as not to draw questions that they may not be prepared to answer in a way that is not in their best interest, updating their tax information, evaluating their student's financial aid awards for fairness and advising them what to do if the award is less than expected. Like anything else, there can be difficulties. The CFS Client Care Center is intended for the active parent who doesn't have time to squeeze one more thing into their already hectic schedule. Problems that parents encounter are data mismatches, errors on forms, including financial information that should have been left out, etc. Our Client Care Center professionals have years of experience and are experts at dealing with the many issues and problems so that your clients don't have to spend hours figuring out what went wrong. Colleges will deny that they "negotiate" with parents, but the fact is that if the school wants your student, they may sweeten their initial aid offer during the appeals process. Odds of receiving a preferential financial aid award are improved if the school really wants the student because of a special skill, talent or scholastic achievement. Parents are provided their own secure, web-based interface. All of the information that will be used to complete your student's aid forms is available to you 24/7. For each of the student's colleges, we will advise you of any additional requirements and forms, assist with the Early Decision/Early Action process, as well as their deadlines, etc. The short answer is no. The work for each student in the family is unique to them and so the work can't be duplicated. We have priced our services so as to be affordable to as many families as possible while maintaining the highest standard of client care.